Set to release on the same day as the Air Jordan 4 “Singles Day”, this tattoo-inspired version of the identical silhouette celebrates global adoration for the game of basketball. Sporting a black, red, and white construction, its upper dons an all-over basketball tattoo graphic with “Air Jordan” embroidered under its tongue in graffiti-style font. Acting as an indication of what is to be expected in 2019 – the 30th anniversary of the famed Air Jordan 4 – there will be plenty more in store for fanatics of the 1989 classic. 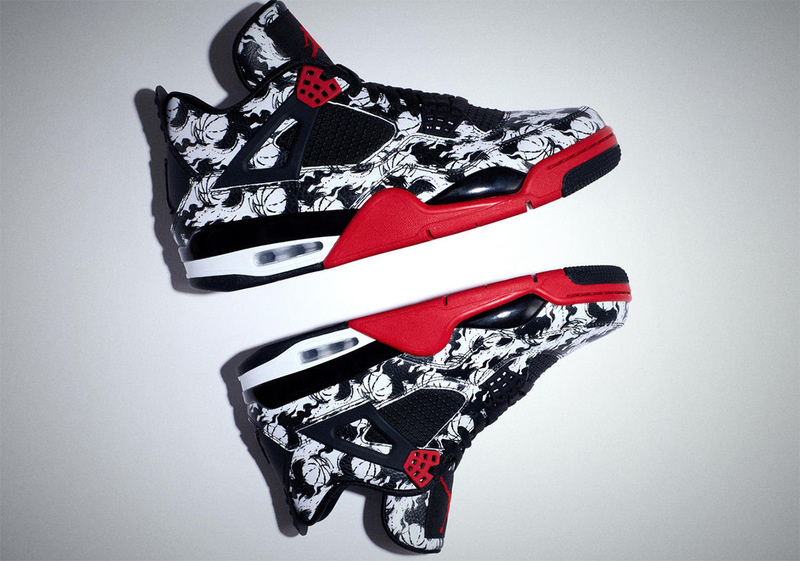 Pairs of the Air Jordan 4 “Tattoo” will arrive exclusively in Greater China on November 11th, and will be followed by a global drop on December 29th.